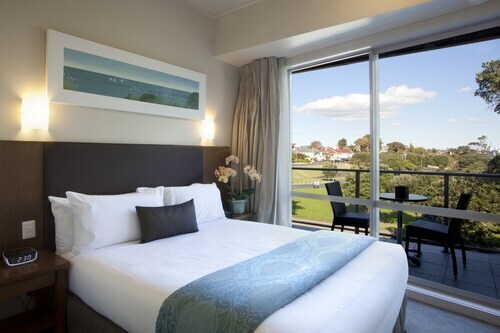 This family-friendly Northcote hotel is within a 15-minute walk of Takapuna Golf Course and Driving Range and Smales Farm. Takapuna Beach is 2 mi (3.2 km) away. 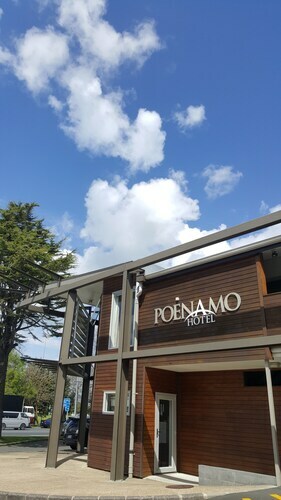 Located just minutes from Takapuna Beach and only 10 minutes from both Auckland CBD and Albany Business Park, we invite you to experience the difference with a diverse range of shopping, dining and family fun activities right on this Auckland hotels doorstep. 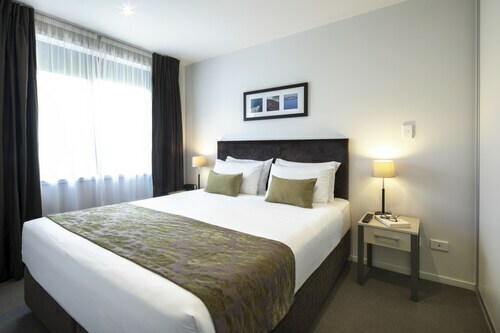 Situated in Takapuna, this motel is within 1 mi (2 km) of Bruce Mason Centre and Takapuna Beach. Auckland University of Technology and Smales Farm are also within 2 mi (3 km). 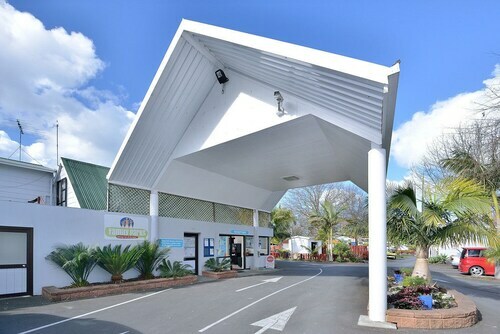 Situated near the beach, this motel is 0.5 mi (0.8 km) from Takapuna Golf Course and Driving Range and 2.4 mi (3.9 km) from Takapuna Beach. Smales Farm and Auckland University of Technology are also within 1 mi (2 km). Situated on the waterfront, this luxury apartment building is within 3 mi (5 km) of Auckland Ferry Terminal, Princes Wharf, and Takapuna Beach. Sky Tower and SkyCity Casino are also within 3 mi (5 km). Auckland Britomart Station is 22 minutes by foot. 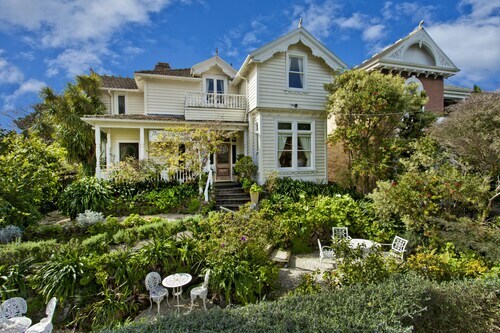 Situated in Devonport, this luxury bed & breakfast is 0.6 mi (0.9 km) from Mount Victoria and within 3 mi (5 km) of Auckland Ferry Terminal and Princes Wharf. Sky Tower and Spark Arena are also within 3 mi (5 km). Auckland Britomart Station is 19 minutes by foot. Situated in the business district, this luxury apartment building is 0.7 mi (1.1 km) from North Harbour Stadium and within 6 mi (10 km) of Browns Bay Beach and Long Bay Beach. Takapuna Beach and North Shore Events Center are also within 9 mi (15 km). Amazing views of the Hauraki Gulf, relaxing strolls on the beach, delicious food and friendly locals, all within half an hour of the Auckland CBD – wot more could you ask for in a holiday? 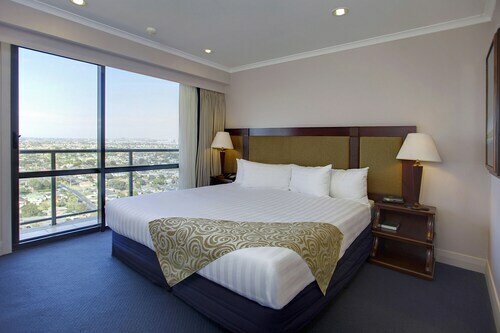 Well, to top it all off, we've got some red hot deals on Auckland north hotels. A great way to start exploring the northern Auckland region is to head north and, by that, we mean get up high for a bird's eye view. The top of the volcanic cone at North Head offers some spectacular views of the harbour, as does the top of Mt Victoria, which you can get to in style on a segway tour. Once you've got your bearings, wot about hitting the beach? There are plenty to choose from here! Let's start with the 3km long golden beach of Orewa and then see if you can spot any whales or dolphins along the Whangaparaoa Peninsula. After that, take the North Shore Coastal Walk and you'll stop by Takapuna Beach, one of the most popular beaches in the region. It's a safe swimming beach for families with littlies and also offers plenty of enjoyable activities for adults. You can go windsurfing, boating or sailing, or just enjoy a coffee at one of the beachside cafes. Love horses? How about horse riding along the sand dunes of Pakiri Beach? Shakespear Regional Park also has three swimming beaches, lots of picnic spots and barbeques, and plenty of walking tracks where you can see native birds and wildlife. If salt water isn't your thing, you might prefer Lake Pupuke, which is actually a volcanic crater filled with freshwater, and is popular for rowing, canoeing and sailing. If it's too chilly for swimming at the beach and lake, Waiwera has some pretty amazing geothermal hot pools, including hydroslides and an outdoor cinema! Just when you thought all of your aqua action options were exhausted, we're going to add another to the mix - the Mahurangi River, where you can go fishing or just take a stroll along the banks. If you're not much of a water baby, another great way to cool off in summer is by visiting Snowplanet, an indoor ski resort that's open all year round. If you'd prefer to just watch sport, rather than get involved, North Harbour Stadium often hosts Auckland Blues and Warriors matches, so check out the events calendar to catch a game. If you’re looking to give your credit card a workout head to Hurstmere Road in Takapuna which is lined with fashion boutiques and specialty stores. Takapuna Market is held on Sunday morning and is the perfect place to pick up fresh produce, flowers, clothes, furniture, antiques and everything in between. If you really love markets, there's also the Matakana Village Farmers' Market, held on Saturday morning, which stocks a wide range of organic fruits and vegetables, locally made cheeses and freshly baked breads. The Auckland Airport is about 50km south of most of the suburbs within the district. There are buses and trains that service the towns in the Auckland North region and, depending on your fitness level, you can cycle from bus stops to most landmarks. You can also take a 12 minute ferry ride to the Auckland CBD. How Much is a Hotel Room in North Auckland? 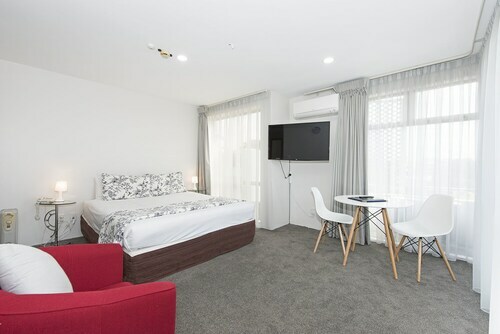 Hotels in North Auckland start at NZ$65 per night. Prices and availability subject to change. Additional terms may apply.